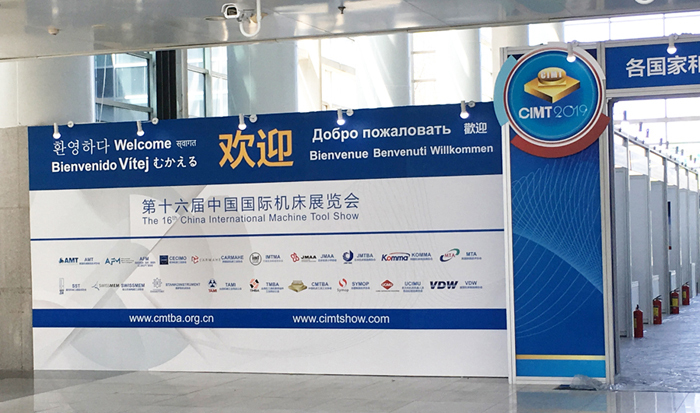 On April 15, 2019, the 16th China International Machine Tool Show (CIMT 2019) organized by China Machine Tool & Tool Builders’ Association (CMTBA) and co-organized by China International Exhibition Center Group (CIEC), grandly opened in Beijing, China International Exhibition Center (New Venue). At that time, CIMT 2019 will again attract global attention as the most important world machine tool event of the year. As the most important event of machine tool industry hold in China, CIMT2019 attracted the attention of global manufacturing industry. Mr. Zhou Ji, Former Minister of Education of China, and President of the Chinese Academy of Engineering；Mr. Zeng Xianlin, Minister of Former Ministry of Light Industry of China；Mr. Lu Yansun，vice minister of Minister of the Former Ministry of Machinery of China; Mr. Xu Xingchu，Academician of Chinese Academy of Sciences; Mr. Wang Ruixiang, Chairman, and Mr. Yang Xuetong, vice president of China Machinery Industry Federation; and leaders from ministry of industry and information technology and ministry of commerce, ministry of science and technology, and State Administration of Science, Technology and Industry for National Defense, attended the opening ceremony. The heads of the machine tool industry associations from various countries and regions, the leaders from dozens of well-known domestic and foreign machine tool enterprises attended the opening ceremony (the head of the list attached), leaders and representatives from related research institutions and the fields of cars, ships, aerospace, military industry, as well as other key user fields were invited to attend the opening ceremony. The relevant leaders in charge of the exhibition also attended today's opening ceremony. The opening ceremony was hosted by Mr. Wang Liming, executive vice president of CMTBA, Mr. Mao Yufeng, the president of CMTBA made the speech. 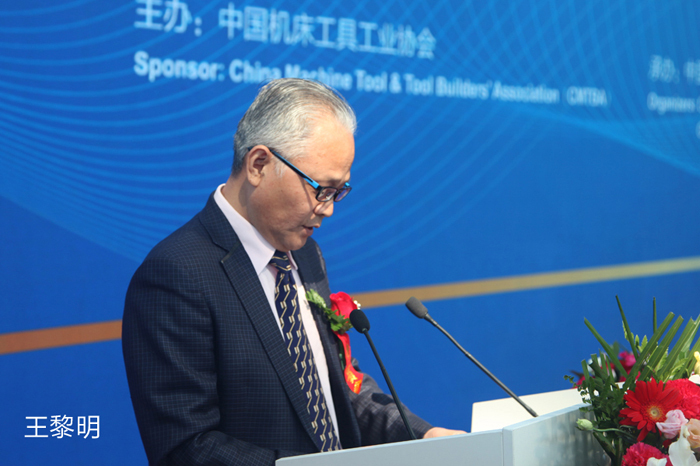 In the speech, Mao Yufeng said, since its initiation in 1989, China International Machine Tool Show (CIMT) has gone through 30 years of development and successfully held 15 issues, has made great contributions to China's reform and opening up, equipment manufacturing innovation and upgrading. CIMT has become the best window and platform to observe, research and connect with Chinese machine tool market. He also pointed out that China, as the second largest economy, the government has formulated a series of policies and measures in response to the current downward economic pressure. Structural changes and accelerated upgrading of Chinese market demand will bring new opportunities to the global machine tool manufacturing industry. In order to hold this exhibition successfully, the organizer has made new efforts in improving service level, improving exhibition management and enriching exhibition contents. 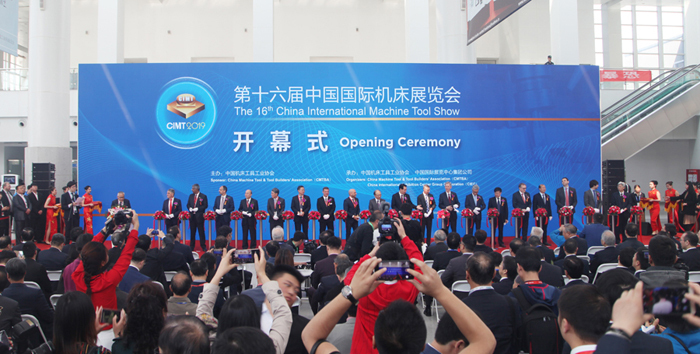 The main guests invited to cut the ribbon for the opening ceremony of CIMT2019 are: Mr. Zhang Zhigang, on duty chairman of CMTBA, and President of JIER Machine Tool Group; Mr. Woods, President of AMT; Mr. Yukio Iimura, Chairman of JMTBA; Mr. HEIN, Head of Economic and Statistical Dept. of VDW; Mr. SCARPA, Director of ICE offices in China；Mr. Tomohisa Yamazaki, President of Yamazaki MAZAK; Doctor Beermann，COO of DMG MORI; Mr. Long Xingyuan, Rotating Chairman of CMTBA, President of Qinchuan Machine Tool & Tool Group; Mr. Du Zhuoyu, Rotating Chairman of CMTBA, President of Wuhan Heavy-duty Machine Tool Group Corporation; Mr. Blaettler, Secretary General of SWISSMEM; Mr. Kwon Young Doo, Chairman of KOMMA; Mr. He Minjia, Rotating Chairman of CMTBA, president of GSK CNC Equipment Co. Ltd.; Mr. ALEX KO, Chairman of TAMI; Mr. Ortueta, General Manager of AFM; Mr. Parascandolo, representative of Symop; Mr. Dugdale, representative of MTA; Mr. PHANI RAJN, representative of IMTMA; Mr. Peng Xiaorun, General Manager of Beijing Beiyi Machine Tool Co. Ltd.; Mr. Bedrich, representative of SST. 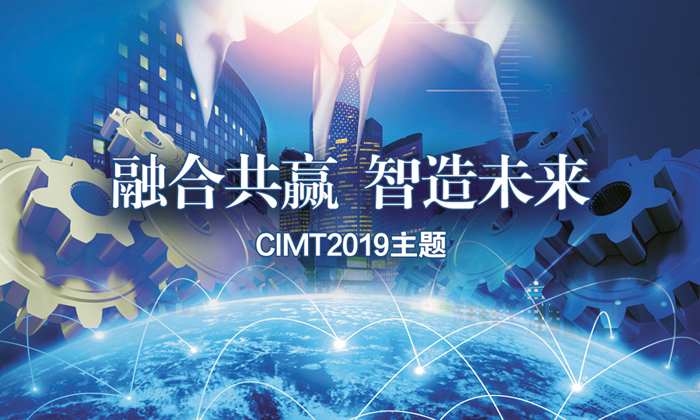 The theme of CIMT2019 is "Win the Smart Future Together". This theme accurately and distinctly reflects the characteristics of the times of the market and industry development of China's machine tool & tool industry, and indicates the future development trend of the industry. As the product of the deep integration of manufacturing industry and information technology, the concept of "intelligent manufacturing" is accompanied by the development of information technology and develops rapidly. With the growing maturity of digital technologies such as big data, cloud computing, artificial intelligence and blockchain, the traditional competitive logic of the industry is undergoing profound changes. The development trend of deep integration of artificial intelligence and advanced manufacturing technology has become the consensus of the global manufacturing industry. According to introduction, more than 1700 machine tool & tool manufacturers from 28 countries and regions have participated in the exhibition, including 874 overseas exhibitors and 838 domestic exhibitors, each accounting for about 50% of the exhibition area. The total exhibition area of CIMT 2019 is 142,000 square meters, with a new record high in scale. The world's leading machine tool manufacturers with their latest technology and products all attended. Among them, the machine tool associations and trading organizations from 13 countries and regions including Britain, Czech Republic, France, Germany, India, Italy, Japan, Korea, Spain, Switzerland, the United States, Taiwan and Hong Kong, participated in the exhibition. According to the exhibitors’ statistics, the level of exhibits, varieties, specifications and coverage of this exhibition are innovative. Tens of thousands of exhibits include mainframe, CNC system, and functional components, measuring instruments, machine tool’s electrical appliances, cutting tools, accessories and other major product categories in the industrial chain. The main products include metal cutting, metal forming, special processing, coordinate measuring machine, flame cutting and other types of equipment. Hotspot technologies such as Internet of Things, Artificial Intelligence, Robots and Additional Materials Manufacturing will become the focus of attention. Innovation is the first driving force to lead development, and also a powerful driving force to build brand. CIMT, China International Machine Tool Show, has always been an international stage for domestic and foreign machine tool manufacturers to show their innovative products and deduce their innovative capabilities. The innovations of these products are mainly embodied in the latest breakthroughs in the direction of high speed, high precision, compound, green and intelligent, including structural improvement, function expansion and improvement, performance improvement, pleasant operation, automation operation, expansion of functional software, energy saving, environmental protection and many other aspects. At this exhibition, many new products and technologies are competing, which will attract the attention of the global manufacturing industry. Intelligent manufacturing technology is the deep integration of information technology and intelligent technology and equipment manufacturing process technology. It is an important development direction of world manufacturing industry in the future. Intelligent machine tools are the basis of realizing intelligent manufacturing. Intelligent technology of machine tools will reach a level that traditional control technology has not achieved in terms of quality, efficiency, efficiency and safety. These intelligent technologies take equipment function, control system and software, detection device and manufacturing process expert system as carriers becoming a new commanding point for enterprises to participate in market competition. In this exhibition, a batch of intelligent machine tools with various intelligent technologies will show their elegance. Industrial Internet of Things (IIoT) is the application of the Internet of Things in the industrial field. It applies perception technology, communication technology, transmission technology, data processing technology and control technology to all stages of product design, manufacturing, ingredients, warehousing and after-sale. By realizing the digitalization, intellectualization and networking of production management and control to achieve the goal of improving manufacturing efficiency, improving product quality, reducing product cost and resource consumption, and ultimately to lift traditional industry to a new stage of intellectualization. In this exhibition, the audience will be able at short range to feel the latest achievements of global machine tool & tool enterprises in the field of digital technology and interconnection technology. Additional material manufacturing technology combines the advantages of high-tech of computer graphics processing, digital information and control, laser technology, electromechanical technology, material technology and so on. It can quickly produce parts with arbitrary complex shapes, solve the processing problems of some difficult-to-process materials and structural complex parts to shorten the manufacturing cycle, and has a good application prospect in aerospace and medical fields. At the same time, the extensive attention of governments, research institutes and enterprises all over the world has also promoted the rapid development of augmented material manufacturing technology. In recent years, the progress of material-adding manufacturing technology is mainly embodied in the thinner layer of metal laser deposition, faster shape-forming, higher strength of polymer materials, composite application of increasing and decreasing material processing, etc.. At that time, a batch of materials added manufacturing technology and equipment representing the advanced level will appear at the exhibition. 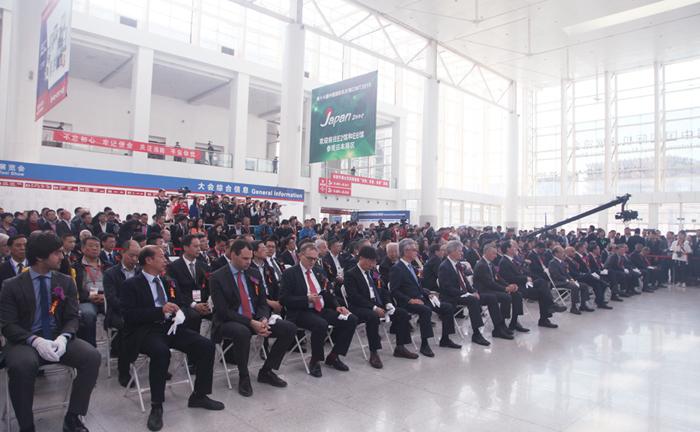 On the morning of April 14, the day before the opening of CIMT2019, the organizer held an important supporting activity——International CEO Forum of Machine Tool Manufacturing Industry 2019, invited representatives of machine tool associations of United States, Germany, Japan and well-known enterprises of China's machine tool industry, gave speeches focusing on the direction of integration, interconnection and intelligent manufacturing, surrounding the theme “Win the Smart Future Together". 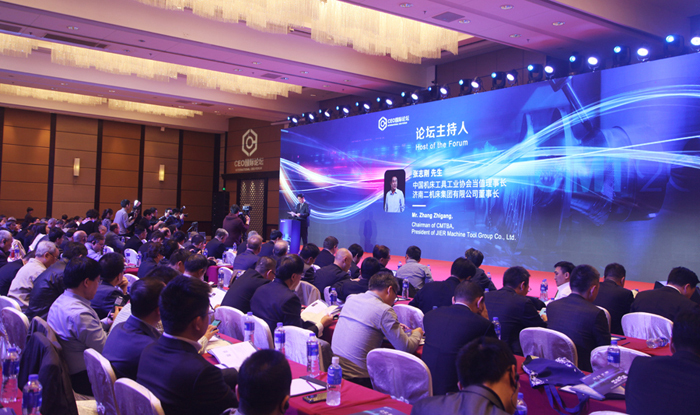 At that time, over 200 entrepreneurs in the global machine tool industry, entrepreneurs in the user field, some experts, scholars and media representatives participated in the forum activities. 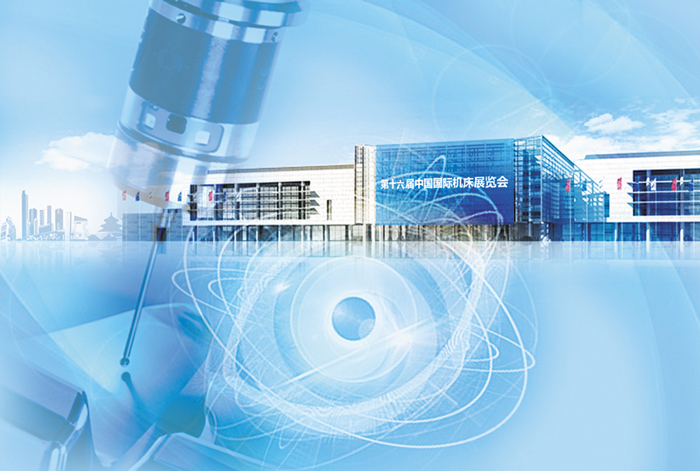 During CIMT2019, the organizer will hold a variety of international exchange and industrial activities, such as, Symposium on Application of Domestic CNC Machine Tools 2019，CNC Machine Tool Special Achievements’Display，Display of Achievements in Application of NC-Link，Special Display Area of "Educational Institution Showcase”，Forum on International Business，Commendation Release of "Top 10" Member Enterprises in 4 Aspects (independent innovation, product quality, comprehensive economic benefit and product export) in 2018，Networking Party of Leaders of National and Regional Machine Tool Associations，and about 100 Technical Exchange Seminars. All these activities around the theme of the exhibition are organized by CMTBA, to fully meet the needs of different types and levels of participants, thus to maximize the viewing experience of the audience and exhibitors. Today, the curtain of CIMT2019 has been raised. We are looking forward to your visit and appreciation. 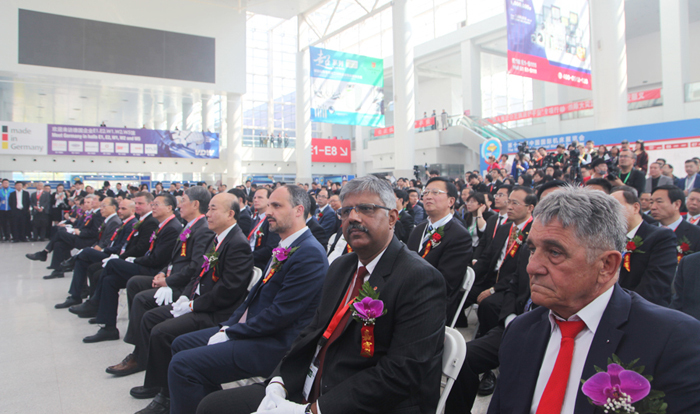 Leaders from global machine tool associations and relevant organizations attend the opening ceremony. They are from: ICE, VDW, JMTBA, AMT, CECIMO, SWISSMEM, KOMMA, AFM, TAMI, IMTMA, MTA, SST, JMAA, JAPIT, UCIMU, SYMOP, STANKOINSTRUMENT, CARMAHE, TMBA. Mr. 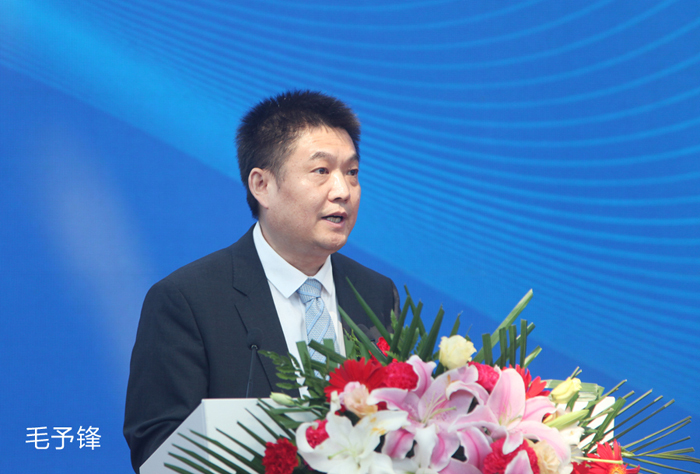 He Jianguo, Vice president of Hunan Machinery Industry Association.